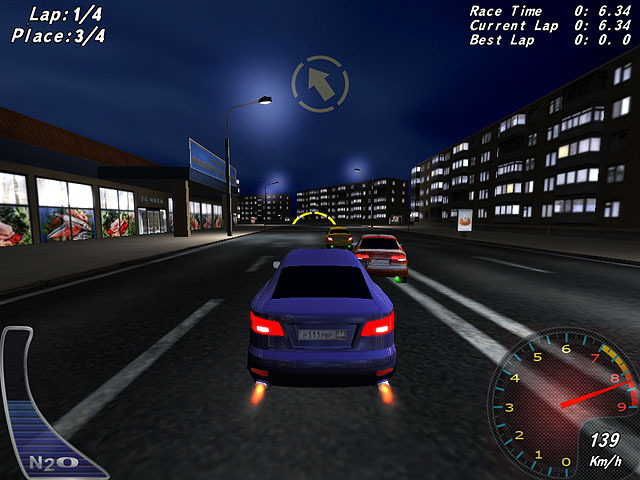 3D street racing game. Night street racing is a major attraction in big cities around the world. The racers are legendary for their need for speed, while the cars they drive signify the perfect union of consumer-grade auto manufacturing and extreme vehicular tuning. Now you can become a night street racer. You will take part in competitions, earning cash and winning new cars along the way. Racing skills and smart vehicular modifications will determine the winner.